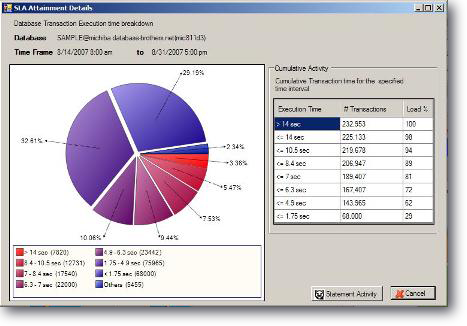 Brother-Thoroughbred provides industry breakthrough database measurements for transaction times, time distributions, and service level attainments. IT groups can now measure and document their transaction performance success, as well as be equipped with the right information to understand if database performance is at fault or not in the event that service levels are not being attained. And, if the database is at fault, the DBA group can easily determine the resource bottleneck (CPU, I/O, Locks, Sorts) and rapidly solve any problems. 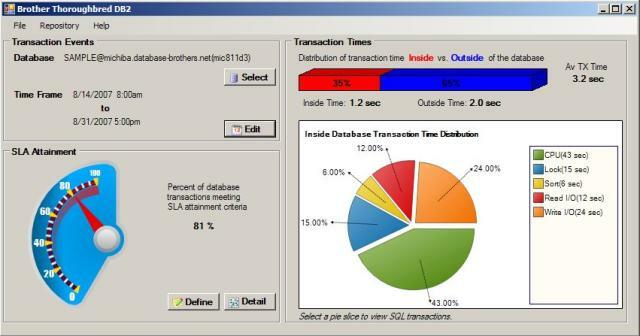 Brother-Thoroughbred measures and counts database transaction service level attainments so that your IT organization can accurately know how often SLAs are being met, and how many times transaction performance has disappointed customers. More specifically, Brother-Thoroughbred will show both counts and percentage attainments for transactions completing in less than 1 second, less than 3 seconds, less than 5, 10, 15, 30, and greater than 30 seconds. Integrated workflows with Brother-Panther® make it easy to find the database statements (SQL, XQueries) that are contributing to slow transaction response times. Click to See Larger Image in a New Window Request a Proof of Concept (POC). Many of today's IT groups are required to meet service level agreements because uptime and transaction performance directly impacts the productivity and profitability of the entire organization. 99.9% uptime isn't good enough if average transaction response times are taking 30 or more seconds. The challenges are accurately knowing average response times, how often response time service levels are being met, and, if service levels aren't being met, why? 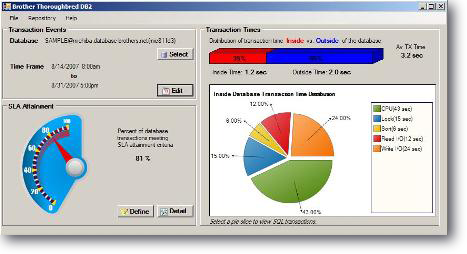 If transactions are slow, is it a database problem or not? Where does the time go? WHO, or what group, needs to solve the performance problem? 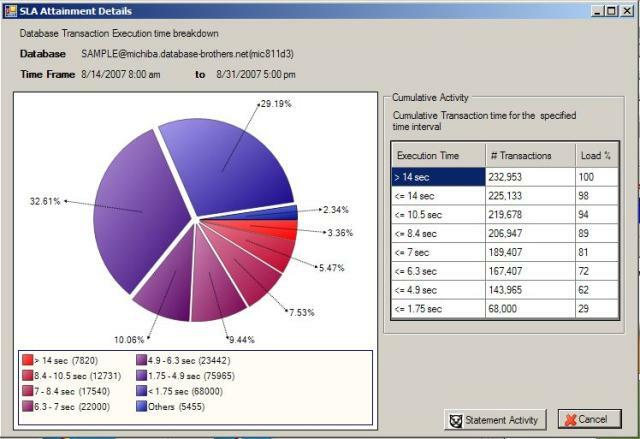 How can an IT DBA group measure and document their performance success? Brother-Thoroughbred is a separately licensed add-on feature to Brother-Panther® for DB2 LUW. IBM has sunset their "Ready for DB2" program, but we're still ready to help you with DB2! Were SLAs met last week? Has database tuning been effective over time? Integrated workflows with Brother-Panther® make it easy to find database statements that are causing SLAs to be missed due to high average elapsed times and statements that are contributing to resource bottlenecks such as high CPU consumption, high I/O times, or high sort costs.